Phantom energy and vampire power may sound like forces in a sci-fi novel but they’re far from fictional. You may pay for them every month in your electricity bill. These terms refer to a counter-intuitive concept: many electronic devices draw power even when they’re turned off. The vampire draw for each appliance with standby power can represent up to 15 percent of its total energy use. (If you’re a Central Maine Power customer with a smart meter, you can track your daily energy use—and see how much energy is drawn even while you sleep—using the online Energy Manager tool. Using a Kill-a-Watt monitor, a science reporter found that most of her appliances used nearly as much power when turned off as they did when in use. You can borrow one of these monitors from your local library, courtesy of Efficiency Maine. There are more phantom appliances in your home than you might think. By one estimate, the average house has 50 such devices—in the form of computers, printers, scanners, televisions, battery and tool chargers, music players, coffee makers, microwave ovens, toaster ovens, treadmills and even “smart” mattresses. According to the National Renewable Energy Laboratory (NREL), the combined phantom load costs the average household about $200 each year. Collectively, the vampire energy wasted by appliances could power 11 million homes! Stopping vampire power use can be simple. Where appropriate, appliances and electronic devices can be plugged into power strips located where they can readily be turned off and on. 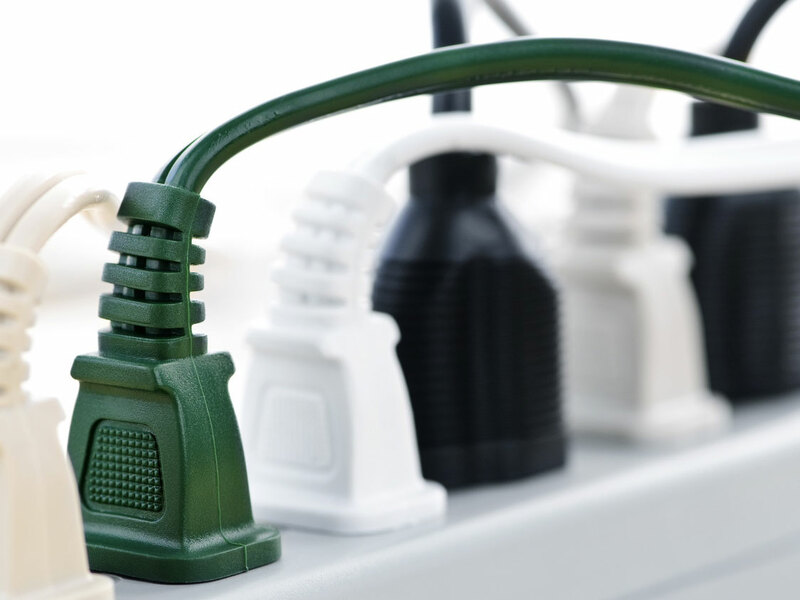 You can choose between a traditional power strip or an “Advanced Power Strip” that is designed to automatically shut down in certain circumstances (such as when all devices plugged into it being turned off, or when no motion is sensed in the area). NREL has a helpful diagram outlining options for Advanced Power Strips here. If you use this approach, keep in mind that shutting off electricity to appliances and electronic devices may affect those that have a built-in clock or internet connection.